What refrigerator problems do we usually see? 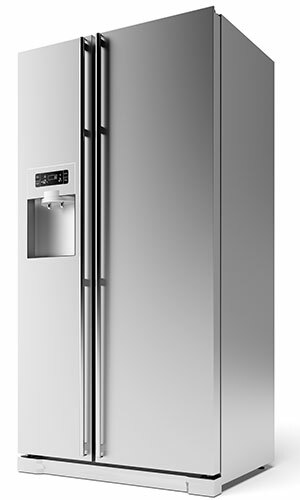 Most commonly, people call us to have their refrigerators repaired when major refrigerator parts give out. This may be the motor, thermostat, coils, and etc. In most cases, the refrigerator either won't power up or its temperature regulation is insufficient. Broken icemakers are also very common as they are not easily replaced by hand. Do you need a refrigerator repair in Oak Lawn IL? If so, we are here to help you. Our refrigerator repair technicians are all certified and have spent many years providing appliance repair services to the Oak Lawn IL area. Your refrigerator repair will not be a challenge. Our company has quick access to refrigerator parts in Oak Lawn IL, and our vehicles even come pre-loaded with some common parts. If you need a quick and reliable refrigerator repair, look no further! Something many fridge owners tend to neglect is changing their water filter every six months. It really is important, as failing to do so will cause contaminants and impurities to be able to pass through the water. Replacing the filter is usually as simple as turning it's cover and pulling it out, and then loading the new one in. Make sure to keep up to date with this -- it will only run you around $10 to $20 every six months to ensure your refrigerator's water and ice stays contamination-free.